We postulate that post US mid-term elections, President Trump’s agenda could switch towards shoring up economic growth ahead of the Presidential Election in 2020, including pursuing a win-win trade deal with China. The US and China are moving ahead with the dinner meeting scheduled for 1 Dec 18. We are cautiously optimistic that progress would be made at their meeting post the G20 summit in Argentina. BUY DBS and OCBC. Maintain OVERWEIGHT. Trade friction between the US and China has affected sentiment on the broader market. 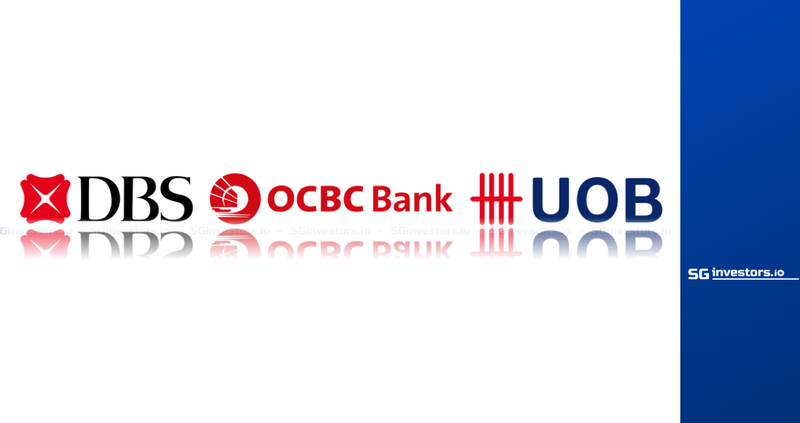 In particular, DBS share price, OCBC share price and UOB share price have corrected 25.2%, 22% and 20.3% respectively from their peaks in end-April. Back to the negotiating table. The US and China have renewed discussions to resolve their trade conflicts after a telephone conversation between President Trump and President Xi on 1 Nov 18. Treasury Secretary Steven Mnuchin and Vice Premier Liu He are believed to be in intense preparatory talks ahead of the G20 summit. There are detailed communications between the two governments. President Trump believes China would like to have a deal and has toned down his rhetoric in recent days. Death sentence lifted from trade deal. Each President is expected to bring six advisors to the dinner meeting scheduled on 1 Dec 18. Pragmatists Treasury Secretary Steven Mnuchin, Commerce Secretary Wilbur Ross and Director of National Economic Council Larry Kudlow are attending. In particular, Steven Mnuchin and Wilbur Ross had previously cut trade deals with China to have them subsequently rejected by President Trump. Notorious author of Death By China and Director of Trade and Industrial Policy Peter Navarro is said to have been excluded from the talks. Thus, it is left to US Trade Representative Robert Lighthizer to lead the charge for trade hawks. The meeting post G20 summit in Argentina could bring about a truce with a freeze in current tariff, ie suspend the step-up in tariff from 10% to 25% which is to be implemented in Jan 19. The two countries could finalise a broad framework for the eventual deal, followed by detailed negotiations to narrow the differences. We postulate that post the US mid-term elections, President Trump’s agenda could switch towards shoring up economic growth ahead of the Presidential Election in 2020, including pursuing a win-win trade deal with China. The differing views of the US and China on issues, such as market access and intellectual property rights, remains significant. Nevertheless, we are cautiously optimistic that progress would be made at the meeting post G20 summit. We maintain our BUY recommendations for DBS (Target Price: S$29.50) and OCBC (Target Price: S$14.05). DBS is a beneficiary of rising interest rates in Singapore and Hong Kong. It has a high S$-CASA ratio of 90.2% (savings accounts: 74.5%, current accounts: 15.7%). It has strengthened its deposit franchise in Hong Kong with HK$-CASA ratio improving 20ppt to 56% over the past five years. DBS provides an attractive dividend yield of 5.2% based on DPS of S$1.20 for 2018F. OCBC’s CET-1 CAR improved 0.4ppt q-o-q to 13.7% in 3Q18, at the higher end of the target range of 12.5-13.5%. It plans to implement an internal ratings-based approach (IRBA) to compute risk-weighted assets for OCBC Wing Hang in 2019/20, which would further improve CET-1 CAR by another 0.6ppt. We expect OCBC to increase its dividend payout ratio towards mid-40%, bringing 2019F DPS to S$0.48, which provides a dividend yield of 4.4%. Rising interest rates and corporate bond yields. Improvement in dividend payouts and yields. We maintain our existing earnings forecasts. Rapid increase in the federal funds target rate (steep rate hikes) that may trigger capital outflows from countries in Southeast Asia.